I am facilitating another Blogging Workshop here in St. Louis, and YOU are invited. If you’ve ever wanted to know how you can make some real money with your blog and social media channels, I am giving you all of my secrets! 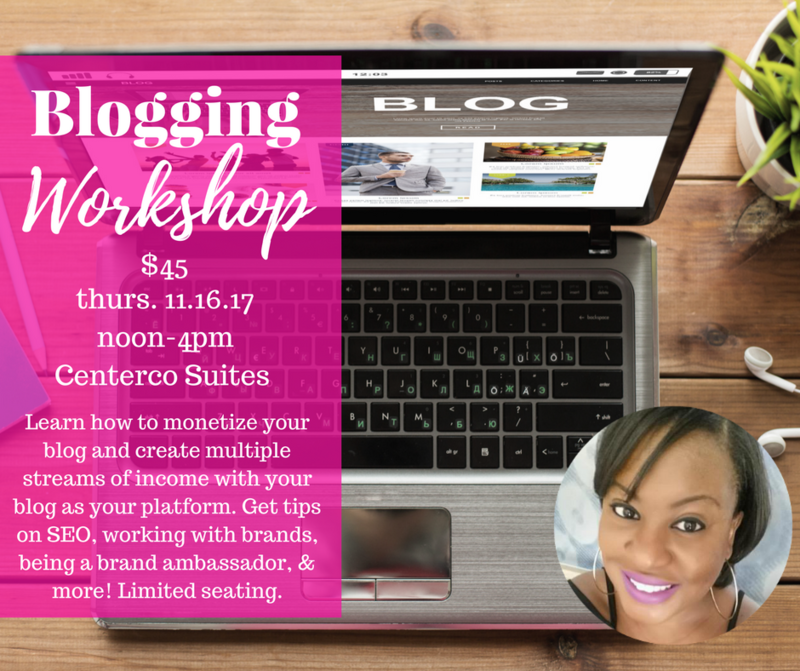 Join me for my next Blogging Workshop on Thursday, November 16th from 12-4pm. This four hour session will be filled with my winning formula of taking my blog from a hobby to my full-time income. You will learn the ins and outs of pitching brands, earning ad revenue, becoming a brand ambassador, and creating multiple income streams. It is a hands-on intensive workshop that you will leave with everything you need to be a success! It’s only $45, which is a steal! I like to keep my workshops small, so there is limited seating. Click HERE to reserve your spot. If you have any questions you’d like to ask, email me at info@thecubiclechick.com. My latest workshop is being held at Centerco Office Suites Conference Room at 11628 Old Ballas Rd, Creve Coeur, MO 63141.